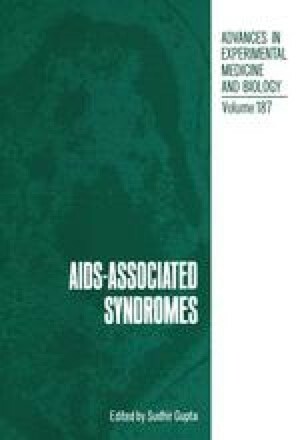 In contrast to the situation in London described by Pinching, San Francisco physicians were faced with the challenge of persistent lymphadenopathy in homosexual men even before the AIDS epidemic had been defined(l). Although the initial cases of the lymphadenopathy syndrome were first appreciated in 1979, the prospective natural history study in our clinic was only initiated in November 1981(2). The 200 patients enrolled in this study clearly do not constitute the entirety of lymphadenopathy patients in San Francisco. Since the lymphadenopathy syndrome is not reportable to the Centers for Disease Control or the City Health Department, estimates of the number of men affected in the San Francisco area are difficult to obtain. As part of a case control study of 150 of our first AIDS patients, Moss and the Epidemiology group at San Francisco General Hospital interviewed and examined 300 matched controls(3). One hundred fifty participants were neighborhood controls, matched by age, race and socio-economic status to patients residing in the vicinity. One hundred fifty further controls were obtained from the municipal venereal disease clinic, also matched as closely as possible to cases.